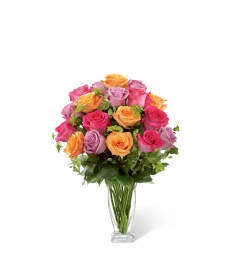 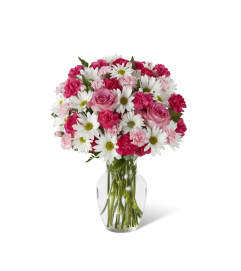 The FTD® Blazing Beauty™ Rose Bouquet is sweet and sophisticated to extend your love and warm wishes. Hot pink roses blush with beauty accented with pink waxflower, ti leaves and lush greens. 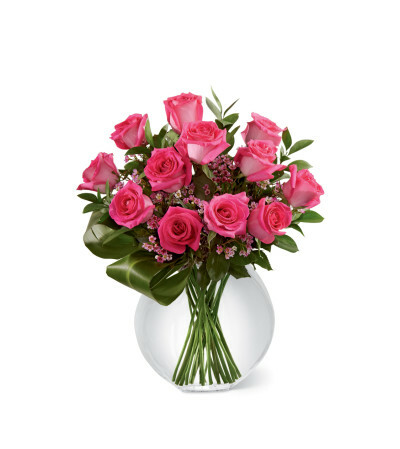 Arranged exquisitely in a clear glass pillow vase, this rose bouquet will surprise and delight your special recipient with it eye-catching elegance.